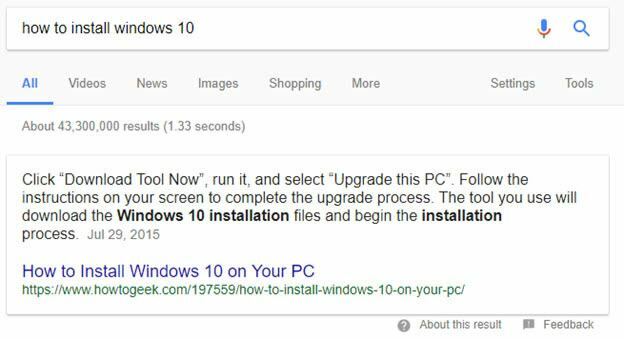 About 10 years ago when I first started getting into SEO, we would notice these minor changes in ad background colour as Google performed testing. Now it seems as though the SERPs (Search Engine Result Pages) change drastically and constantly. 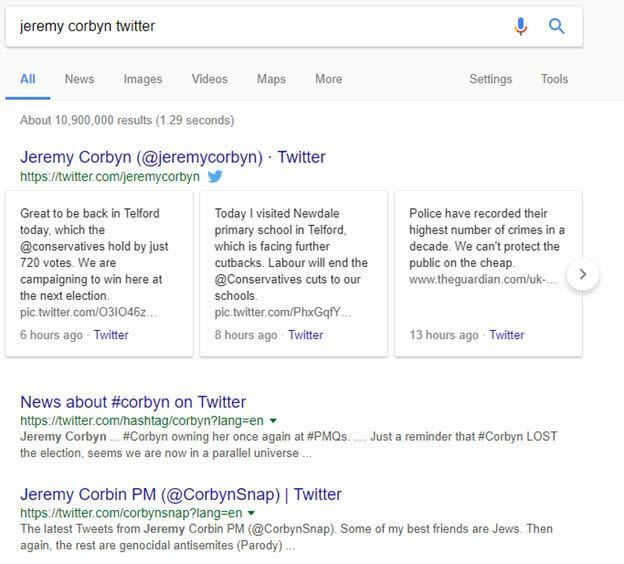 We have seen changes such as the removal of all side ads from the SERPs and an increase in the paid ads at the top of the page. 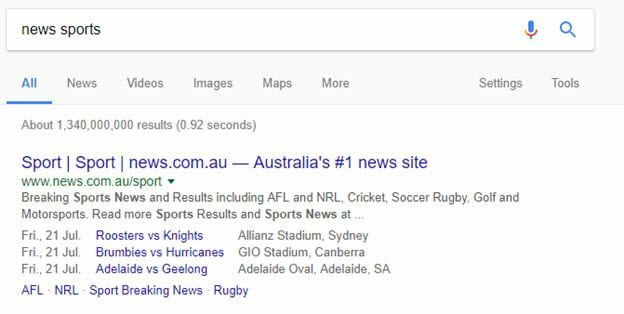 It used to be that if you were ranked 1st organically that you were no more than the 4th listing from the top of the page (including paid ads). Now your pages ranking in the best organic position might be pushed down to the 8th listing… Well beneath the fold. Likewise, if your paid ads were in 5th position, now they’re at the bottom of the page! There are now five categories or SERP listing, containing 16 different classes within them, there is also some variation within these classes. As such, you need to have a good understanding of the type of listing you can have and where that might leave you on the page. In this guide, we cover off all of the different Google SERP listing types and variants for desktop & tablet devices. We do not cover mobile SERPs in this guide. 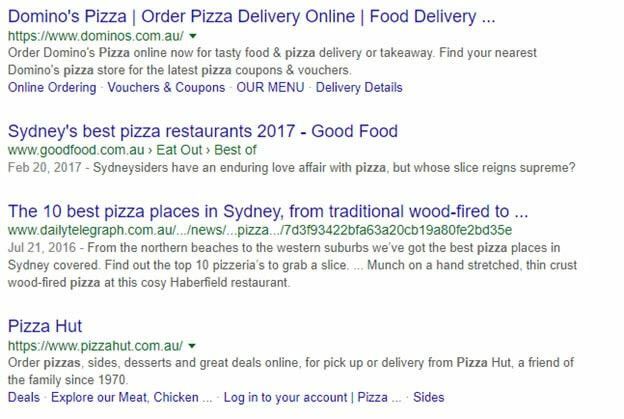 If you are familiar with AdWords you will probably be aware that there are many different ad formats… In the SERPs and as far as a user is concerned, there are really only four formats the ads appear in. We cover AdWords ad types on another guide, if you want to learn more about how ads work at the back-end. 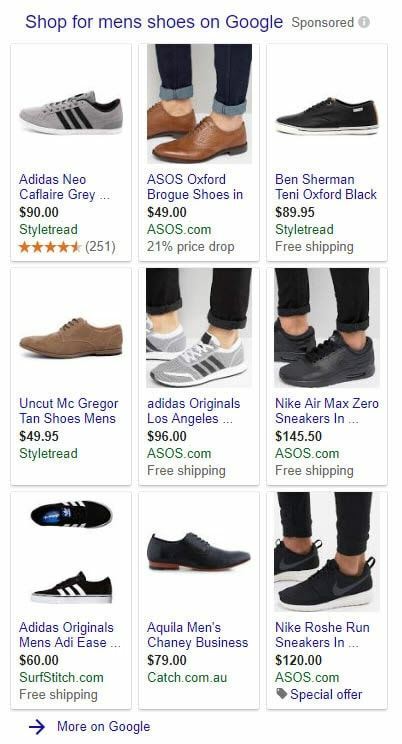 ‘Standard text ads’ is a broad format; text ads can have a range of different features such as sitelinks, structured snippets, among other extensions. 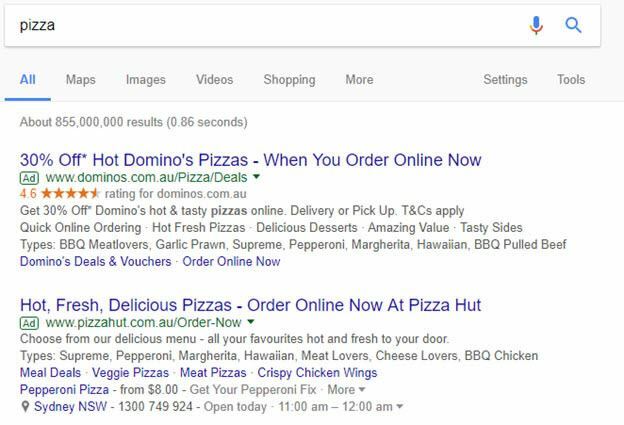 This ad type format is ubiquitous in the SERPs, unless you are searching for a term that Google do not allow advertisers to bid on, you are almost always going to see an ad. You are most likely to see an ad if the search query entered has some potential for commercial value. These and ads like them pay for the services that Google offer. In the image below breaks down the first ad, as many of these components (all of those that are not highlighted in blue) can vary… Sometimes they can be present other times not, however they are still all part of the text ad format (referred to Expanded Text Ads in AdWords). Like the standard text ad, shopping ads can vary in terms of their content; but to a layman this may not make them appear is a different format of ad… Which is an easy mistake to make with standard text ads. Read more about shopping ads by clicking the link. This listing format comes from Google buying the technology in April of 2011 in their purchase of ITA Software, that allowed them to produce these results algorithmically. 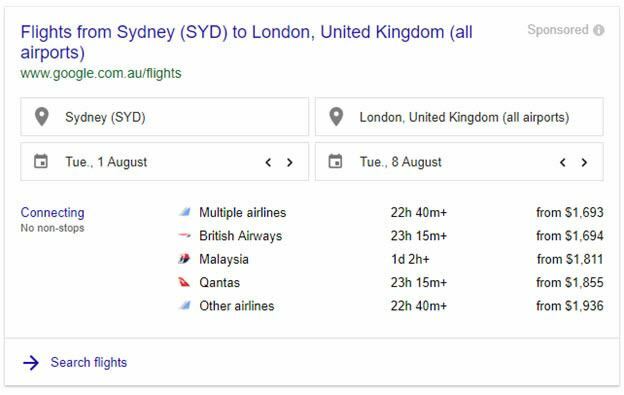 This innovative component to Google’s SERPs upset a few flight comparison sites, but offers an easy and intelligent way to find flights. 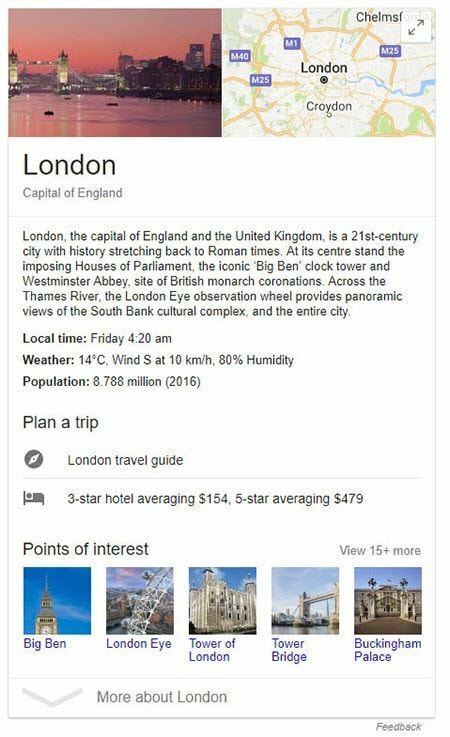 You are likely to see something similar to the screenshot below if you search for destinations and the word ‘flight’ among other relevant queries. 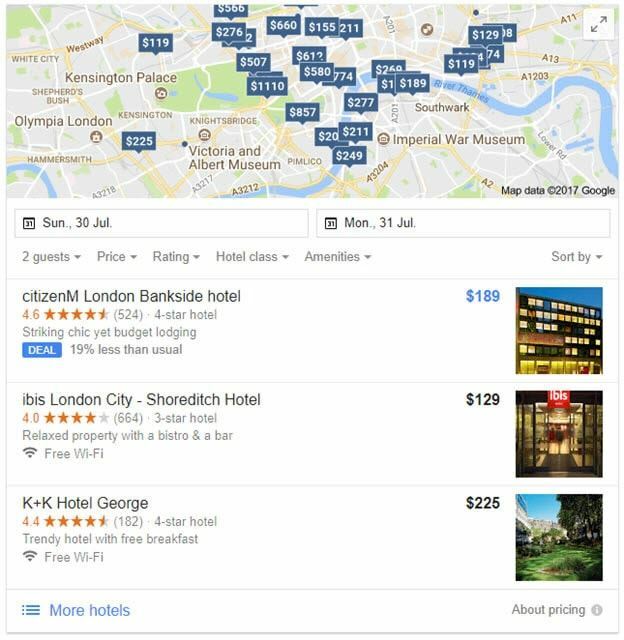 Google’s hotel ads help to connect properties with people looking for them anywhere in the world. 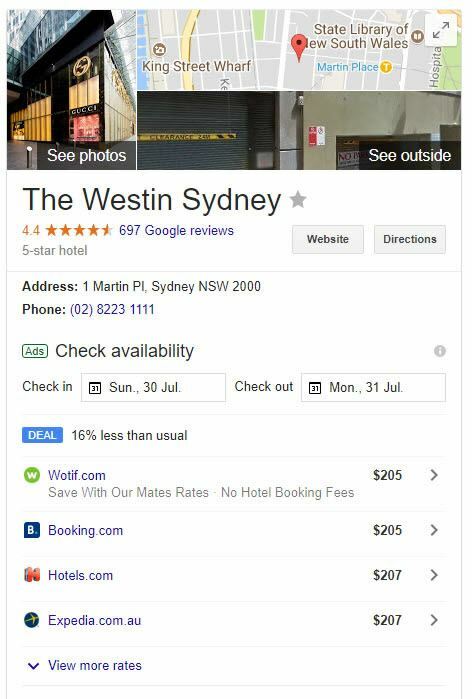 Some hotels have paid ads that feature within this such as in the example below, where we searched for a specific hotel in Sydney. 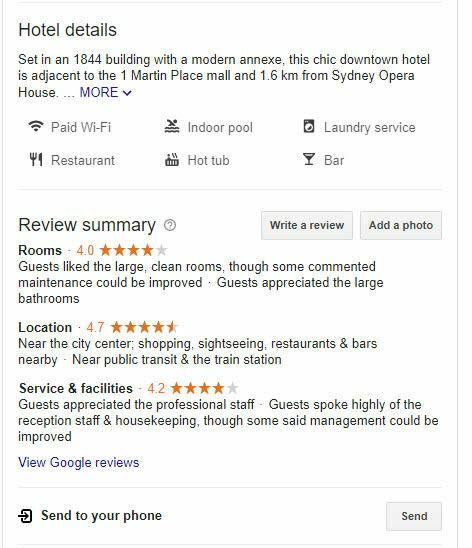 This provides additional in SERP functionality allowing you to check availability for your booking. 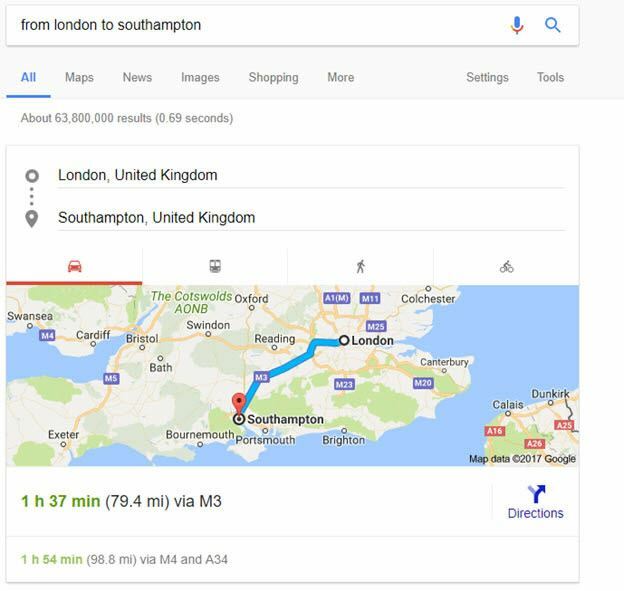 Local search result listings are likely to show if Google’s algorithm thinks that your search is related to what’s potentially near you. 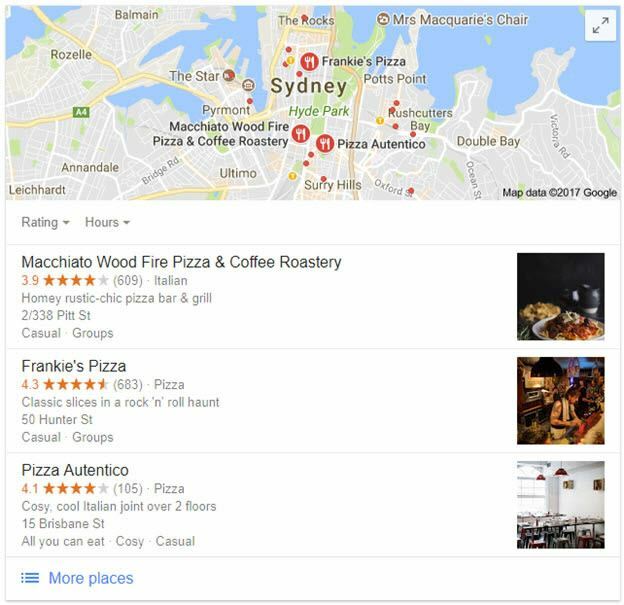 Searching for Pizza is a good example of this, statistically if you search for pizza you are very likely to want one… And that would mean getting one from somewhere local. 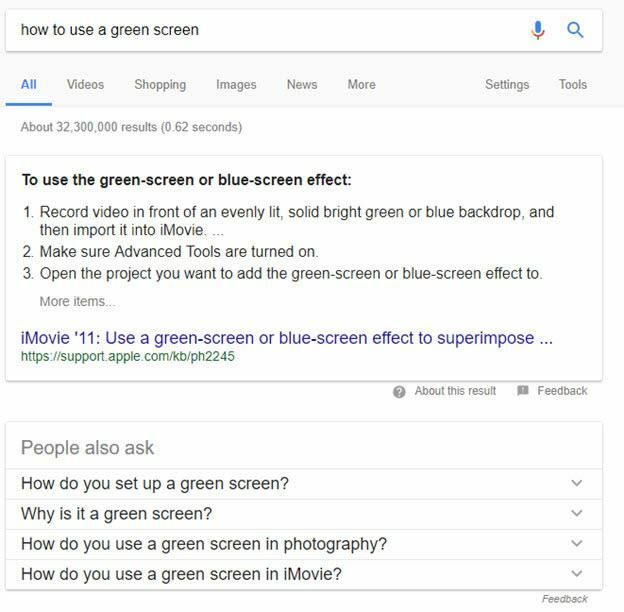 Featured snippets have a lot of variations, we have covered some of these here but there are more. 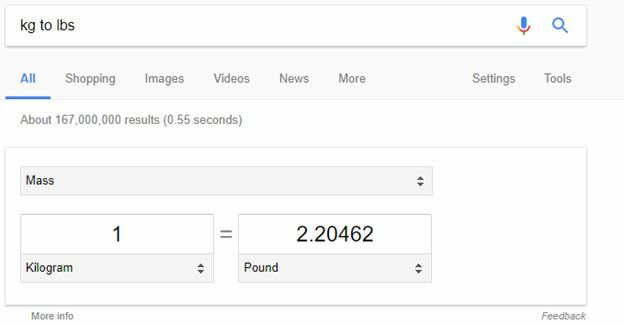 If you search for something similar to that shown in the screenshot below, you will get a travel box / featured snippet. There are potentially hundreds of these types of listing depending on how you define a type! We cover a good range of top-level categories in this guide, to give you a good idea of the types of rich answers there are. 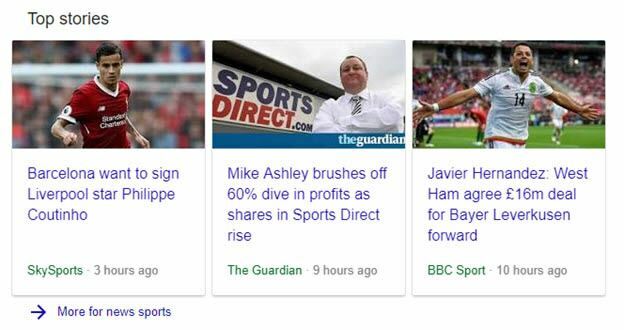 The screenshot below shows a similar type of snippet, this appeared in the middle of the organic results rather than the top (as in the above image). The screenshot below is a slightly more advanced snippet, where it lays out steps and also provides drop down options below to read answers to similar and / or relevant questions to the one you asked. Unlike the examples shown above, this has no link and you cannot optimise you site for this component. Similar to the time snippet, you cannot optimise you site for this component. This has come under some criticism as they algorithmically scrape and rate content from other people’s sites and show it to users without the curtesy of giving the content creator any actual traffic. Some answers do not contain a link or in a couple of cases actually show incorrect information. These SERP features like most others take many forms, such as the example shown in the screenshot below. 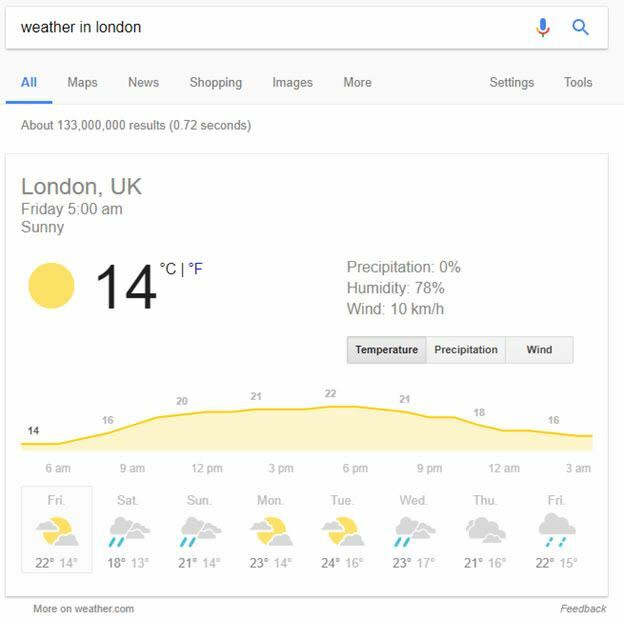 This knowledge box shows when you search for ‘London’… as you can see this is an aggregate of data from multiple sources with links out to an array of different places. 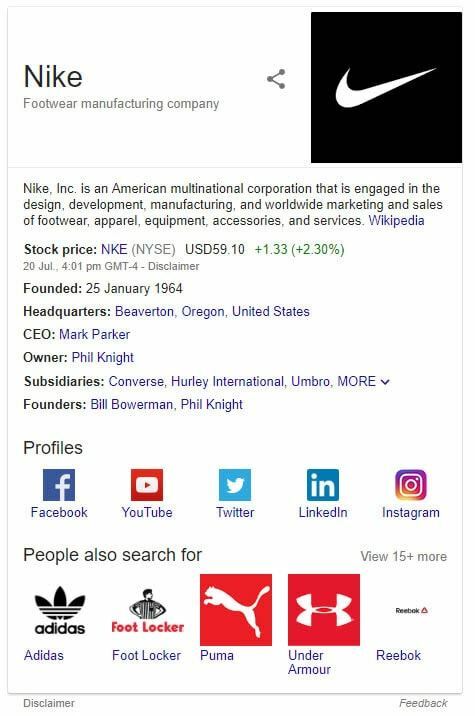 The Knowledge Graph Carousel is a structured data set in this case we have searched for a specific album and we get all of the songs from the album shown in clickable links. The links will trigger a new search for that song, in this case. These are typically not shown for more commercial searches like ‘buy Tarantino films’, which would trigger shopping ads and such like. Here you can see there is a wealth of information about the brand, from company info to social media channels related searches. These were the very first type of listing that Google created but they have changed and developed significantly over the years. You cannot pay Google to appear in this listing type, the only way to appear or improve where you appear is to implement an effective SEO strategy. Like most other listing types, the organic results come in various formats, which we explain below in more detail.